3 Levels featuring variations of a squat suitable for beginner, intermediate, and advanced squatters. During this 30-Day Challenge, you will be taken through a series of progressions to not only get you the buns that you desire but also aid in building strength (If you really want a challenge, stack all three levels to build strength). So, where do you begin? LEVEL I Beginner – Someone who has never squatted before. This is where you will build your foundation learning how to properly execute the movement safely and effectively. LEVEL II Intermediate – If you’re comfortable with the basic bodyweight squat, and are able to go low enough for your thighs to be parallel to the ground (or lower) with every rep. This is your starting point. 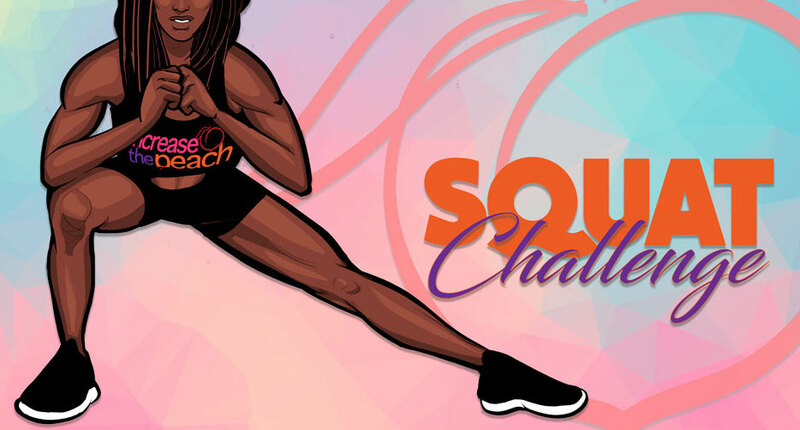 LEVEL III Advanced – You’re a pro at doing bodyweight squats and you execute each rep with perfect form. You can do split squats blind flooded and your form doesn’t suffer when faced with multiple reps.
With each challenge level, there will be a target number of reps to be completed each day. We advise that you reach that target number without breaking them up into sets throughout the day, but if you need to, please do so. Always listen to your body. Hold yourself accountable. If at any point, you find that you are unable to perform the target number of squats with proper form, rest then return to the beginning of the week that you are currently in.